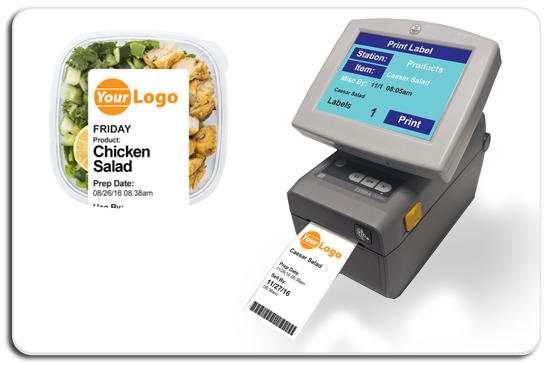 i.Print™ is an on demand - all in one - food service labeling printer system. 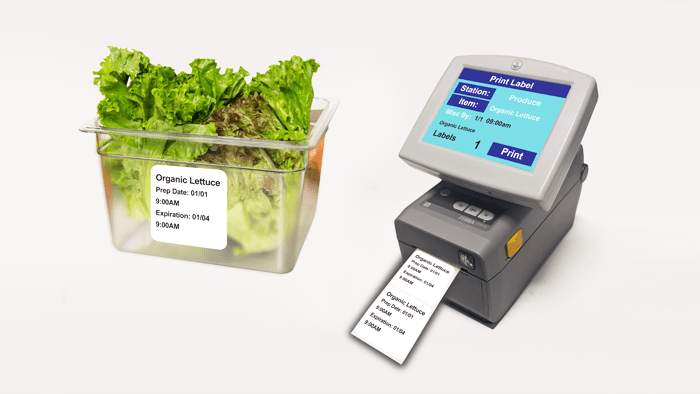 There are so many different uses for i.Print™ that is used for both product rotation labeling and Grab ‘n’ Go display labels with nutritional facts, ingredient list and bar codes. 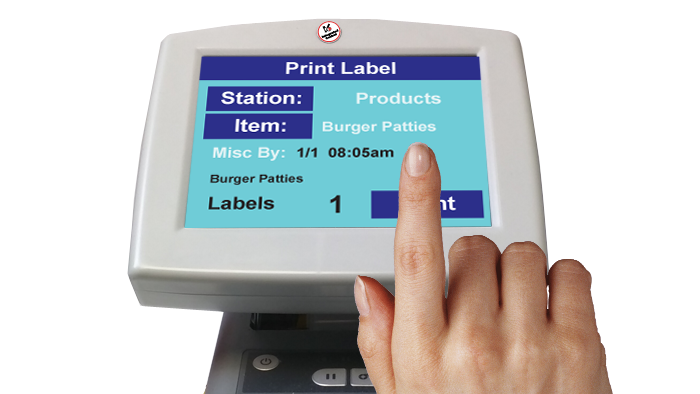 Products are loaded onto a color touch screen display which allows the user to easily select and print labels in just seconds. Eliminate the storage and dispensing of multiple rolls of labels. 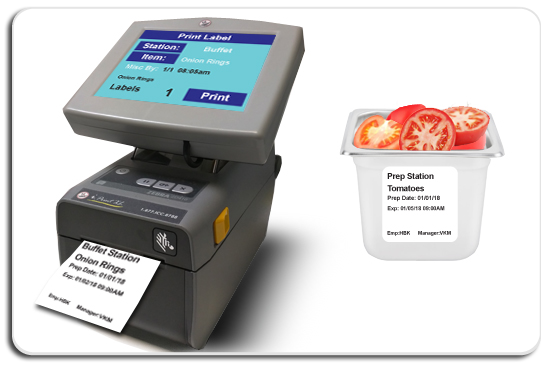 i.Print™ is a versatile and cost effective Food Safety Label Printer. Say goodbye to the high costs of individual colored label rolls by using ONE label for all your products. Eliminate the mess and confusion. ONE Printer, ONE Label. i.Print™ produces Product Rotation labels containing all the information required to maintain quality and food safety of the labeled products such as product name, date and time prepped, date and time to discard. Using the log in feature the label can contain the initials of employee that prepped the product. i.Print™ produces Grab and Go labels with ease. 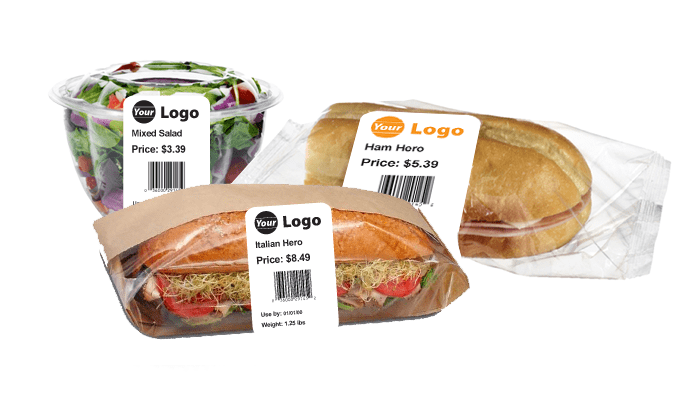 ICC uses linerless labels for Grab and Go practices, which means your labels can be any length, allowing endless options. 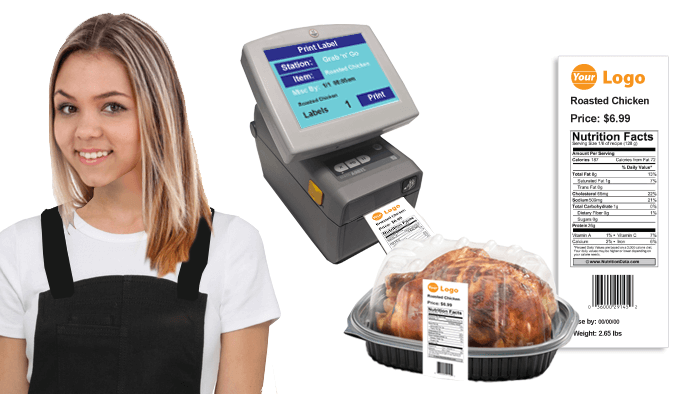 Easily configure labels as you need including: product name, nutritional information, allergen warnings, price, barcodes, logos, special offerings and so much more. 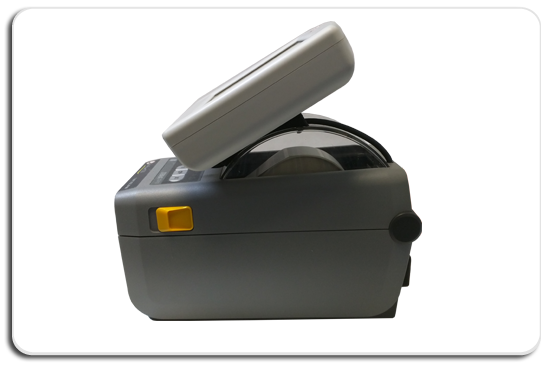 i.Print's™ portable design makes it the most versatile and affortable Grab and Go label printer on the market. Backed by award winning customer support and endless amounts of customization. The options are truly endless with i.Print ™. There's a variety of label types and media available for i.Print™ including Heat Safe, Linerless, Durable, Movable, Dissovable and much more. 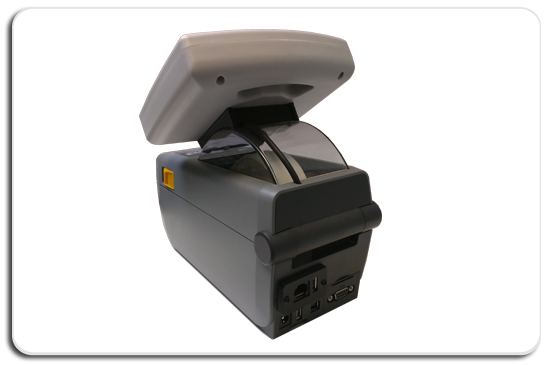 The i.Print™ printer can print on labels sizes from 1 x 1 inch to 2 inches in width to any custom length. This allows label formats to be customized to your exact requirements. Other sizes of printers are also available. Feel free to Call us up today for more specifics on customized labels or printers and a free quote. and Most Importantly Save You Money. Ready to improve your Food Safety and Quality with faster labeling?